When he participated in the Main Event of WSOP in 2014 it was felt that he was probably trying to make up for the attempt that had nearly gotten him the title the first time. Indeed, to become part of the final table it is an achievement and his second opportunity was definitely not only luck but dedication on his part as well. In the 2014 championship, he was holding average stacks. There were about 6600 people who had entered the Main Event. Hailing from Las Vegas, this resident is considered one of the best players in the mixed game categories. He is known to attempt the Rio Convention Center poker event every summer with the hopes of winning a bracelet. 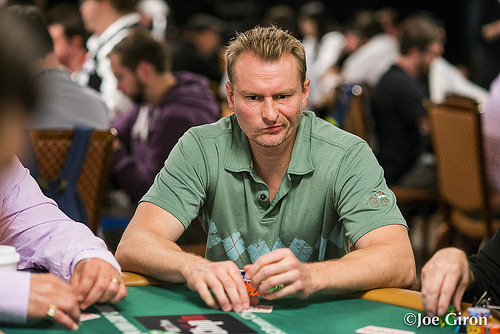 He has been able to obtain considerable amount of cash at several events in WSOP about 29 times. When he was interviewed at the 2014 event he talked about how he had been short stacked in the initial days of the competition. That is when the risks are more and it helps to have a big stack to work with. He states that the key to staying in the game is to be slow and consistent. The expert comments he gives show the considerable experience he has gained about the game over the years. Binger had an interesting transition from the world of physics to that of poker at the age of thirty. He was a physicist at Stanford, who took leave initially to try his hand at professional poker. It was definitely a successful transition for him when he went to the World Series of Poker in 2007. He, however, admits that the program he worked on which helped to win against the computer in a game of blackjack was a different matter when it came to winning at poker tournaments.